Soulfly is back with their tenth album. 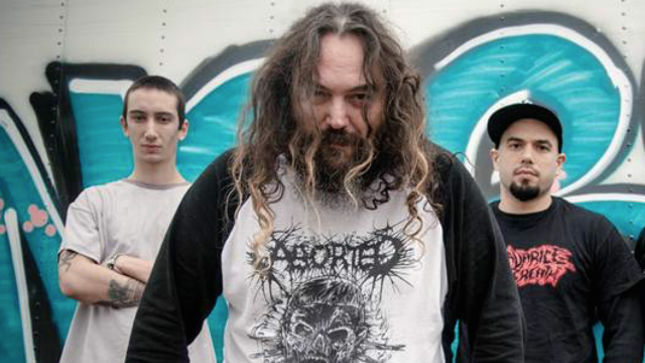 Max Cavalera is a busy body. This is a 36 minute endeavour so it's quick and painless for the most part. Soulfly had it's moment a while back and when they did it was a good one. Regardless, of what anyone says this release sounds dated and uninspired. The drumming is weak and the sound is monotone. Yes! max manages some highlights but not many. For the record, we like Soulfly and encourage you to check them out live. They know how to work the pit. New release, new tour we get it. Some would say 'hey, this is mature album by Soulfly". "The guests on this album did a fantastic job". We disagree on both. Soulfly can bring a ton of guest. They can sing, bark, read a poem, do stupid human tricks, or even magic (start with a drummer, eh?) For all we care but still won't sell us on this cd. Lyrically speaking is a old subject. The rhythm and leads are. ..*yawned* oh, review, right....ok where were we?. Oh yeah, skip this album is not worth your time and money. Good news, Soulfly is headlining North American tour with wedish melodic-death metal visionaries Soilwork, Polish technical death metallers Decapitated, and hot newcomers Shattered Sun. Max next release it'is probably only 6 months away?. Maybe even right before the holidays, a Christmas record maybe?